Travel in comfort from the airport to your downtown Chicago hotel and back again with a Chicago Airport Roundtrip Transfer. 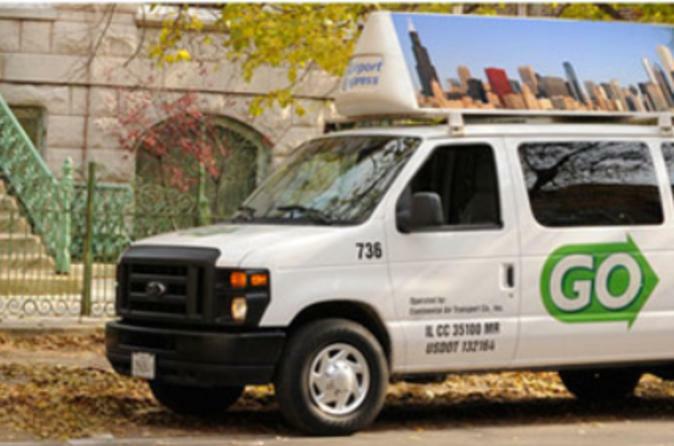 Take the hassle out of your holiday with the convenience of a regularly scheduled transfer service to downtown Chicago. Departing every 10 to 15 minutes, transfers are available 7 days a week from both of Chicago's major airports - O'Hare and Midway. For your return trip back to the airport, the shuttle service operates from 4:00am to 10:00pm. Please Note: Transfers are valid to downtown Chicago hotels only.